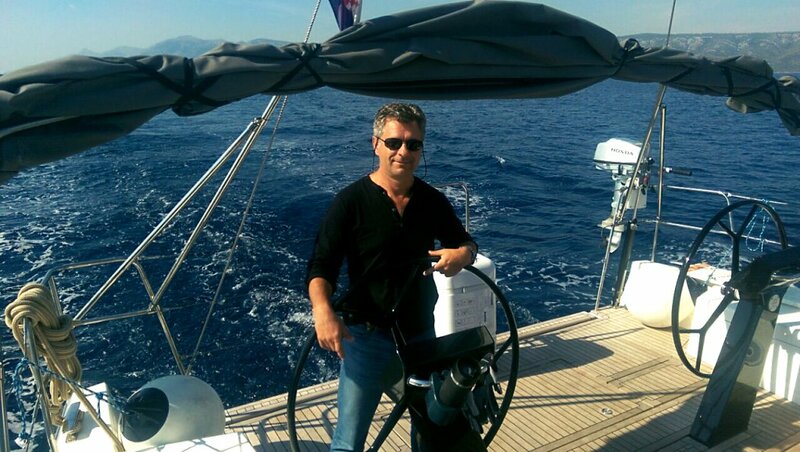 Offers all wishing to take courses of yacht sailing in the yacht school of Bogdan Brodowski. After completing yachting training courses you will get international licence for yacht sailing. We offer distance online yachting training in the form of webinars. Take a full course of yachting theory in Odessa, Mykolaiv, Dnipro, Lviv, Kharkov and any other city!! Yachting School BB Yachting (BB Yachting) - represents in Ukraine the world yachting organizations ISSA (International Sailing School Association) and RYA (Royal Yacht Association). RYA is the oldest and most authoritative yachting training system in the world. 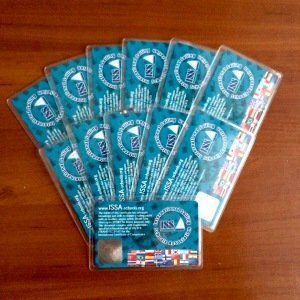 RYA certificates are readily recognized by charter companies, you can rent yachts around the world. Strict quality control of yachting training at each stage. RYA very closely monitors the quality of training, and at the slightest non-compliance with standards, deprives the yachting school of a license to issue skipper certificates. This ensures that at the end of the course you will receive all the necessary knowledge and skills. Having received the certificate marked "tidal", you can walk without restrictions in the most complex water areas. I got the captain's licence! What are they needed for? Dreaming to go on a sea voyage on a yacht with your friends or family or just to retire from the cares and bustle of big cities? Do you want to surprise everyone? The licence of the skipper to sail the yacht, you will have a unique opportunity to spend a holiday in a new way, having received a huge number of positive and bright emotions! You can gather a team of friends and relatives, and then see the page of the renting a yacht and rent a motor or sailing yacht, for example in the Mediterranean or anywhere in the world, and the whole your company enjoy a driving holiday, simply traveling to various countries, exotic islands or seas. Many yacht schools offer yachting training in order to learn how to professionally sail any yacht. But the school of yachting BByachting offers you also to become a member of our large family of yachtsmen. To go with us on yachting trips, in addition we organize corporate regattas, this will help you build a cohesive team of your company's employees. For a long time the uniqueness of rest on a yacht is known. The cost of such a holiday can be compared with the cost of any rest on land. However, the emotions, impressions and charge of energy received from such a trip can not be compared with a simple rest on the beach.. The organization of yachting trips is incredibly fascinating, as is the journey itself. Only once carried away by yachting you can not give up emotions, what he will give you!! The sea, the hot sun and sails full of wind, and also you on a snow-white yacht - that can be exciting, romantic and interesting. Theoretical training courses for yachting - full-time or online yachting training in Kiev or in any city of Ukraine or in any other country. Groups of students are formed all year round. The course consists of 10 lessons that take place in our office three times a week from 19.00 - 21.00. If you can not attend classes in Kiev, we suggest that you undergo distance learning in the form of online webinars. In this case, you will receive all the materials for training and a book by Bogdan Brodowski "Skipper" as a gift. Practical courses for sailing in yacht - in Croatia or in another water area. Payment for skipper's services depends on the water area. After passing the theoretical course, you undergo practical training on a yacht. Practice you can take place at any time of the year! In the summer we offer the water area of Italy, Croatia and Greece, and in winter - the Canary Islands, Thailand and the Seychelles! It is best to combine training with rest, and we will help you in this! During practical yachting training will teach you everything that a good skipper should be able to do in order to safely go to sea! You will find work with maps, practice of mooring, working with sails, navigation, movement at night and everything you need for an independent charter. The exam takes place during practice. You are controlled by our experienced instructor, who evaluates your work on the yacht and the way you learned the lessons. At the end of practice, the teacher will report on your progress, and you will be able to get ISSA licence within a month!! Weather: atmospheric pressure, Coriolis rule, cyclone and anticyclone, cold and warm fronts; the Beaufort and Peterson scales; cloud observations; sources of weather forecasting; local anomalies; night and day breezes; world winds; fog; actions during weather worsening. Radio communication and GMDSS elements: Simplex-duplex communication; the SOLAS convention; Call sign; MMSI; call for Mayday, Pan-Pan, Securite, general communication; VHF channels; GMDSS system; radar; depth sounder; GPS; EPIRB; SART; A.I.S. International rules for preventing collision of vessels, COLREGs: priority; signs and signs on bridges; movement along rivers; Traffic Separation Scheme, TSS. Safety on the yacht: means of safety on the yacht; fire, preventive measures, fire triangle, fire extinguishers, fire blanket; life jackets; man overboard, MoB, preventive measures; means and ways of calling for help; pyrotechnics; life raft; rescue operation by helicopter. Lighthouses and beacons: IALA system; lateral signs; cardinal signs; the leading signs; beacons, sector beacons, colors and characteristics of lights, TSS. Basic maneuvers, mooring, anchorage: types of bottom; types of anchors; choice of anchorage; maneuvers in acute and complete courses, through the staff, through the stern; tacking; to buoy; towing; gateways; forward and backward movement; longside. Yacht stability, sail theory, Pivot Point. Navigation lights and signals: navigation lights during day and night; sound signals; actions in case of reduced visibility; other ways of calling for help. Tides (optional): terminology of tides; zero card; time UTC / GMT; the tidal curve; calculation methods for main and secondary ports. Individual lessons 1-2 people: navigation, working with a map, putting positions on the map. Self-study: designations on maps, consultation with the teacher. Group lessons (optional): tides; currents; zero card; time UTC / GMT; calculation of water level and time. Our yacht school (Kiev) offers the following cost of the theoretical course: 250 euro.. The indicated cost includes materials for the training. Safety equipment on the boat, working out action in emergency situations, "man overboard"
The cost of a practical yacht management course (training on a yacht with an instructor): 250 euro. The cost of the ISSA INSHORE SKIPPER certificate is 250 euro. Inshore Skipper - gives the rights to sail yacht in the coastal waters (up to 12 nautical miles from the coast, and this is 22224 m!) The owner of such type of yachting licence must have all the skills to sail the vessel within the coastal waters, maneuvering. To obtain such a certificate, you do not need any other documents, only practice with our instructors and passing the exam.. The cost of the ISSA OFSHORE SKIPPER certificate is 300 euro. Practice 600 nautical miles, 100 miles of them on high tides. Practice in the North Sea - look at the video, how is the real yachting! Call us: (050) 500 - 57- 77; (067) 547-18-88; (044) 235-84-21. Also write or sign up for yacht training at bbyachting@gmail.com..
Yachting school Bogdan Brodowsky is always ready to answer you for any interesting question! Carnival in the Canary Islands on a yacht!